Yes, even a baby quilt takes me two days (evenings) to bind by hand, but I sew small stitches. good to see you trying the hexies. Now I prefer hand sewing I find it so much more relaxing though must admit since I started quilting I have quite enjoyed the machine and would not enjoy making a large quilt by hand. 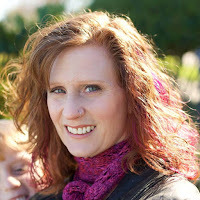 Cannot imagine what you plan to do with your hexies if you are not hand stitching them together. I am exactly like you when it comes to hand stitching so loved your post and am reallllllly curious as to what you're going to do with these hexies. Just like all these bloggers above, I do not like hand work either. Funny, because I used to do counted cross stitch, embroidery, crewel, but not anymore. I do my binding completely on the machine now too, and I'm very happy with it. I too am very curious what you'll do with the hexies. I so totally agree about hand stitching, and as much as I love the look of hexies, I just can't get a needle out to try them. Good for you! I've got a little hand project that I carry around. Sometimes I feel like doing it. Sometimes I don't. Well, most times I dont. I'm determined to hold on to it though - even if it takes years on years. Hexies keep catching my eye too but I am not one to hand sew myself. My hands will even shake..I think it makes me anxious! LOL! 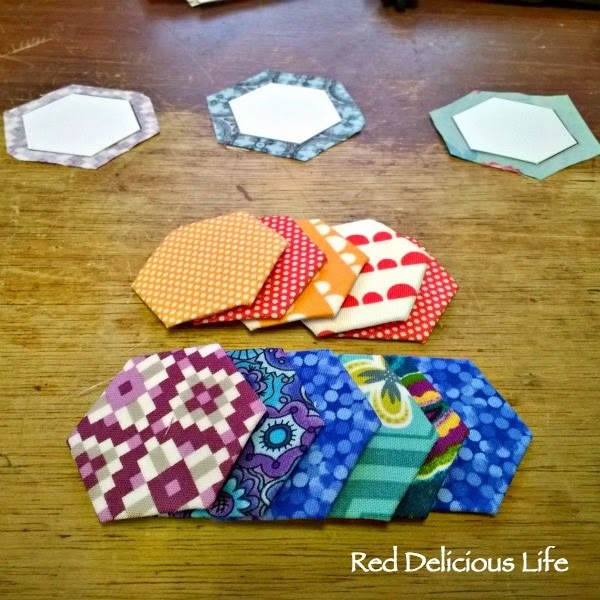 These hexies make me want to try again though! Love yours! I love Hexies but they take forever by hand. Interested to see your shortcut for stitching them together!